On this World Water Day, the reality of water scarcity is starker than ever before. With the situation in Cape Town, South Africa, bringing worldwide media attention to the problem, the search for solutions has taken on a new sense of urgency. IDE Technologies is developing water reuse and desalination technology that could help address water scarcity issues; it is opening two new wastewater reuse demo facilities in California, and its desalination plants in cities such as Carlsbad, Calif., and Sorek, Israel, are already providing clean drinking water to residents. WWD Associate Editor Michael Meyer asked IDE Americas CEO Gilad Cohen how the company’s treatment solutions could help provide water-scarce regions with potable water. Michael Meyer: Please tell me about the new demo facilities in California. 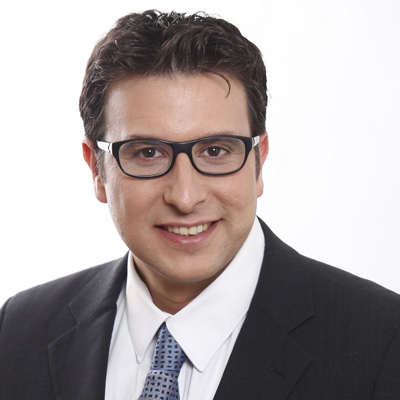 Gilad Cohen: The new demo facilities will use treated wastewater to provide a sustainable alternative for a clean, efficient and safe water source to replenish natural groundwater resources for municipal use. In a state like California, which has been severely impacted by drought, new sources of water will ensure a continuous supply for years to come. The Central Coast Blue Advanced Water Purification Demo Facility is located in the city of Pismo Beach and was created in partnership with the city. In this facility, IDE is testing our proprietary ecological reuse (Eco-Reuse) process. Unlike the standard water reuse process, known as fully advanced treatments, Eco-Reuse does not include a dosage of chloramine. Chloramine is a precursor of N-Nitrosodimethylamine formation—an organic contaminant suspected as carcinogenic. IDE’s Eco-Reuse uses direct osmosis high salinity and conservation, which helps to control bio-fouling. These mechanisms ensure that cleaning in place is a longer process, which lowers energy consumption and reduces overall associated environmental impacts. The second site, the Regional Recycled Water Advanced Purification Center Demo Facility, in partnership with the Metropolitan Water District of Southern California and the Sanitation Districts of Los Angeles County, is located in Carson. At this demo facility, we are testing our reverse osmosis (RO) process for wastewater reuse. Once wastewater is discharged from homes, businesses and industries, it will be cleaned and treated, then sent to the advanced water treatment plant for further purification. IDE’s RO will be integrated into a novel process using membrane bioreactors as a pretreatment to the RO to remove tiny particles, biodegradable pollutants and nitrogen compounds. The RO system will then be used to remove suspended and dissolved components—such as bacteria, viruses, pharmaceuticals and salts—eliminating more than 99% of all impurities. An aerial view of the Sorek, Israel, desalination facility—the largest operating plant of its type in the world. Meyer: How viable is the use of seawater desalination to combat water scarcity? Cohen: Seawater desalination is not only a viable solution to combat water scarcity, but it is also an essential solution, as it is the only really drought-proof water supply method. In areas along the coastline and close to the sea, utilizing seawater reverse osmosis (SWRO) technology provides a viable and affordable source of water to combat water scarcity. Israel is a prime example of how desalination can help a country facing water scarcity. In 1999, the Israeli government began the implementation of a long-term, large-scale SWRO desalination program. This led to the development of five mega-sized desalination plants—three of which were designed, constructed, financed (under a public-private partnership/build-operate-transfer scheme) and now are operated by IDE Technologies at full capacity. IDE was challenged with constructing these three desalination plants that would preserve shore and marine values rather than negatively impact the environment, have reduced power consumption, use less harmful chemicals, have a small footprint, and offer water at a competitive price. 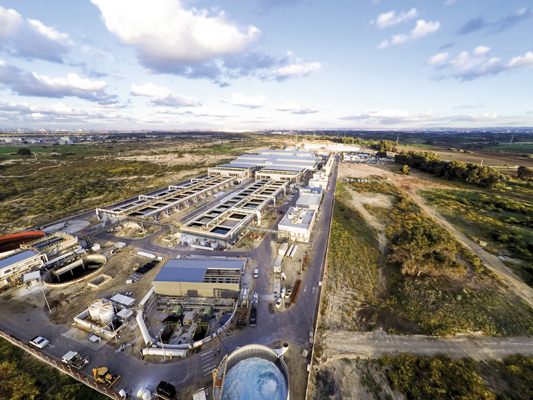 In the last decade, IDE Technologies has built and operates three mega-sized desalination plants: Ashkelon in 2005; Hadera in 2009; and Sorek, the world’s largest operating plant of its type, in 2013. These plants together now supply 60% of Israel’s drinking water. IDE also continues to invest in R&D to develop new advanced solutions to provide a reliable sound of water. The company has developed IDE Progreen technology—a chemical-free seawater desalination process. Meyer: How can these technologies and others help address problems in Cape Town and other areas struggling with scarcity? Cohen: In Cape Town there are about 10 desalination plants along the coast of South Africa from Lambert’s Bay in the west to Richard’s Bay in the east. However, the output from each of these plants is small and only provides enough water for municipalities in the immediate vicinity of the plants. Seawater desalination as part of the overall water sources portfolio is an essential component in any drought-risk region with access to the sea, as it is drought-proof. For desalination to be a long-term solution to help Cape Town as the city struggles with water scarcity, it needs to increase the production capacity of its current desalination plants and also invest in the development of large-scale desalination plants to meet the water demands of the city. With IDE Progreen, which provides a reliable, environmentally friendly solution at an affordable price, combined with IDE's prefabrication capabilities, water scarcity challenges can be mitigated as IDE can provide a long-term, drought-resilient solution. Inside the Hadera, Israel, desalination plant, RO technology treats seawater. Meyer: How can people in areas without shortages use this World Water Day to consider our water use? Cohen: People in areas not facing shortages should always be thinking about water conservation. Water is one of the most precious resources in the world, and while climate change has contributed to scarcity, we continue to waste water. As people are more eco-conscious, water conservation is becoming more natural to them. While municipalities make up for a large amount of water use, industrial use is much higher. Approximately 400 billion gal of water is used in the United States per day, and nearly half of that is used just for thermoelectric power generation. Unless we can decrease industrial water use, more cities will continue to face immense water shortages. Michael Meyer is associate editor for WWD. Meyer can be reached at [email protected] or 847.954.7940.